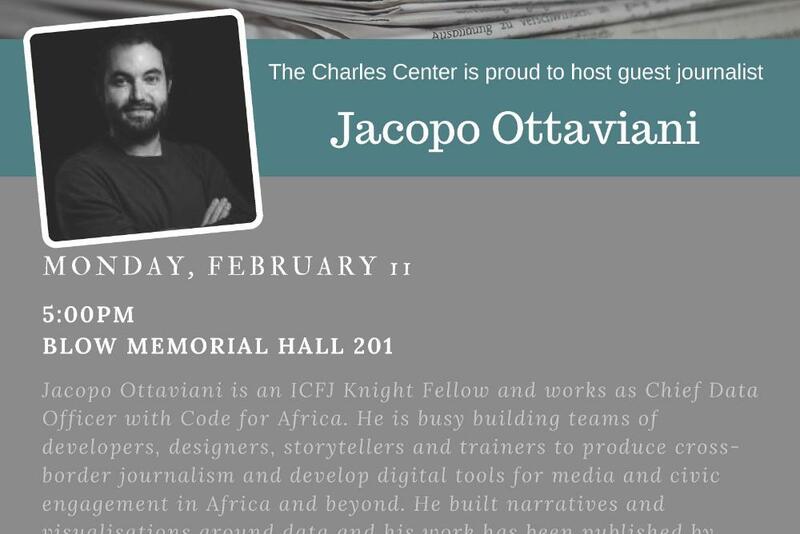 Jacopo Ottaviani is an ICFJ Knight Fellow and works as Chief Data Officer with Code for Africa. He is busy building teams of developers, designers, storytellers and trainers to produce cross-border journalism and develop digital tools for media and civic engagement in Africa and beyond. He built narratives and visualizations around data and his work has been published by, among others, DER SPIEGEL, El Pa?s, Al Jazeera International, De Correspondent and Internazionale. He won the Data Journalism Award, the Lorenzo Natali Media Prize and the UN-DESA/Brown Institute Collaboration Contest. He is on Twitter @JacopoOttaviani. See his work with the Pulitzer Center on Cross-border Conservation Land Grabs.